Median age: (2000 census) 36.4 yrs. Median age: (2010: by zip code) noshade yrs. Area: (by zip code) 53.48 sq.mi. 10.4% water. --- heading 210o (south-southwest) from Augusta. 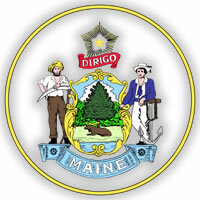 At the time of the 2000 census, the city of Biddeford had a population of 20,942 living in 8,636 households. The median age was 36.4 yrs. by Jennifer Smith-Mayo and Matthew P. Mayo. by David Middleton, Bruce Morrison. Land Area = 30,862 sq.mi. © Allplaces.us All rights reserved.